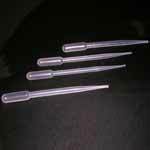 When it comes to most trustworthy disposable pipette supplier then we are counted on the top. Wide range of plastic pasteur pipettes are available under one roof, named as Sejal Plastics. We also provide disposable pipette which has gained worldwide acceptance.